What is Mobile Spy app? What features does Mobile Spy have? How do I install mobile spy? Is it legal to use mobile spy? Today there is a huge amount of inappropriate and harmful content that impacts a child’s mind negatively. Therefore, it’s very important to prevent our children from negative influence on the Internet. This negative impact can be caused by harmful website’s content, uncontrolled calls, and messages, using abusing apps, and so on. Today, you can protect your child from all the inappropriate content in a very sophisticated manner. Let’s try to find out how to do this. Mobile Spy app is a real catch for provident parents who care about their children. Using Mobile Spy app, you get access to all the private life of your child or teenager. There won’t be any secrets between you and your child anymore. Additionally, if you are a boss and don’t want any sensitive information to get shared, you can use also Mobile Spy app. Using it, you will get logs of the activities that happen on the Android smartphone or tablet. Before the installation of the application, you should notify your target person. After the installation, on the target device, an optional icon will appear and notify your target person about tracking their device. This software is installed on the device that you are going to track. You can enter the interface by opening an app and entering your username and password. What will an employee or child see on their smartphone? On the target device, notifications and an icon will remind your target person about tracking and monitoring by default. When you want to hide this icon and notifications, you can turn off this option on the Smartphone Interface. It allows you to see all the reports about the activities of your target person. You can access it from any laptop or web browser. Its option is available from premium accounts and allows viewing the screen of the target device remotely, also adjust settings remotely, and get the phone’s information instantly. Mobile Spy app provides provident parents with total control of their children. 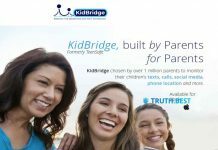 Using this top-grade parental control software, you will get to know whether your teenager chatting while driving or whom they go out with. You will find out all the secrets of your teenager in a very easy way. If you are an employer, you will be aware of whether your employees share sensitive information with your competitors. Even if they remove data from their devices, you will keep up with everything, because the software does not rely on the phone’s internal logging system. Due to the possibilities of Mobile spy, you are able to monitor all the activities on the target device in real time. All the reports are stored in your Spy account in a secure manner. You can access all the reports from any web browser by entering your username and password. Logs are accessible from any place without entering your target device. You will receive logs of all tracked activities with a date/time stamp, and each of them you can search by entering a phone number. All logs can be easily exported to CSV! Why is it so important to be aware of chatting via messengers? Today, teenagers get used to communicating with their age mates via SMS and messengers, including love chatting, sexting, sending intimate photos, and so on. It can cause negative consequences. That’s why it’s very important to stop this chatting on time. In this case, Mobile Spy app will help you. Using Mobile Spy app, you get access to all the call history. Why is it so important? If you want to keep up with all the conversations to age mates, friends, tutors, and teachers, you should listen to all the audio content. Additionally, this feature is very useful, when you need to know how much time your child or employee spends on chatting instead of studying, doing homework, or working. Due to its function, you can monitor all Facebook, Twitter, and WhatsApp conversation. Using Mobile Spy, you will receive all URLs visited by your child, also all the text messages and their content received and sent via Facebook, Twitter, and WhatsApp. Mobile Spy provides you with a complete picture of all activities your child or employee performs. Despite the appearance of a huge number of trendy and easy-to-use messengers, Gmail stays one of the most popular ways of Internet communication. Therefore, your child also uses Gmail as a reliable way of communication. In order to be aware of all the mail lettering, you will receive reports of the details of outgoing and incoming emails. While opening an online control panel, you get access to time/date stamps and content of all Gmails sent and received from your target device. Mobile spy is an innovative mobile monitoring solution that allows viewing and controlling a target device when you have access to it or obtain proper consent to monitor. After the installation, you will be able to receive logs of SMS & MMS messages, review call history and history of websites visited by your target person, listening to conversations, and so on. Initially, you need to buy a license. For this, you need to confirm that you are the owner or authorized administrator of the device. After this, you need to go to the order page and agree to the Legal requirements. After purchasing a license, an email with your license key will be sent to you. Using this code, you can create an account. In the email, you will also find installation instructions. You can choose activities that you want to monitor, including text messages, call history, photos, video, contacts, and others. Starting from the installation, mobile spy application works in the background and will remain active even after turn off or back on. Let’s consider in which ways it’s legal to use a mobile spy application. You can use it to control and monitor your underaged child. When you want to monitor your employee, husband, wife, or another adult, you need to get an agreement. Additionally, you need to carry responsibility according to the law of your country. will able to download an app immediately. Detailed guidelines will provide you with all the necessary information for the installation of the app and adjusting settings. After the installation of the Mobile Spy app, you can monitor up to three devices at the same time. Using the Mobile Spy app, you will receive all the updates for free. When purchasing an annual subscription, you will get a possibility to monitor your computer using SniperSpy. Mobile spy app is an excellent parental control software compatible only with Android devices that offers multiple features to monitor your child’s phone.